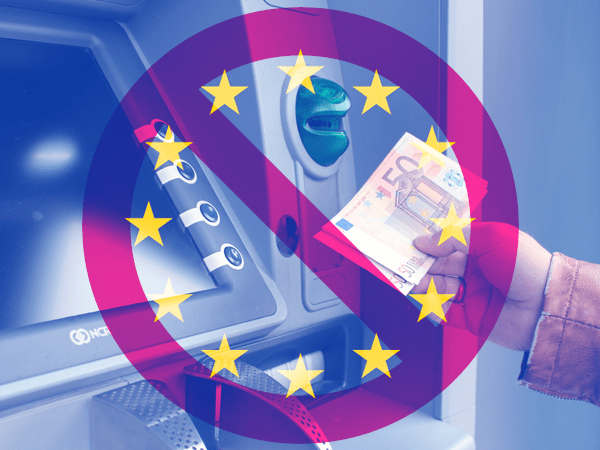 European Union officials want to prevent bank runs with a new law that allows cash accounts to be temporarily frozen. Could it set a new precedent for regulation in the U.S. and around the globe? Banks across the European Union are hopelessly under-capitalized and grossly overleveraged, propped up with excessive quantitative easing and shouldering over €1 trillion in nonperforming loans. Account holders are well aware of EU banks’ woes. Earlier this year, a run on deposits collapsed the leading Spanish lender Banco Popular. And last month, Italy lost two major banks practically overnight in similar circumstances. Now officials are rushing to stop the bleeding… pushing for helicopter regulation to keep account holders from running out on these failing banks. The proposal was first discussed on July 13, and further debate will continue in September. If there’s sufficient support, it could become law by the end of 2017. These potential new measures are fundamentally counterproductive, simply because of the troubling message they send to account holders. Threatening to freeze accounts in the event of a run on banks creates a self-fulfilling prophecy: account holders lose faith and become more likely to withdraw funds en masse. As a result, many believe the measures would discourage saving, and make matters worse overall. It’s clear that you can’t trust governments to protect your financial freedom. Instead they present a significant threat to it — legislating away your ability to move your wealth as you see fit. This proves once again just how important it is to keep at least a small portion of your savings far outside the system, in a place governments and banks can never touch it. Physical precious metals are one of the last remaining assets that allow that type of freedom.